Alas, I am back from NYC. I am always on a mission to find a reasonably priced hotel in NYC. It is hard for me to justify spending a lot of money for a room that I know I will never be in. Thus, I resorted to the website, Air BnB. It is similar to HomeAway if you are familiar with that website. Basically people just rent their apartments or homes for a set price so depending on where you are looking, you can find some amazing deals. I went through hundreds of apartments to find the perfect one. 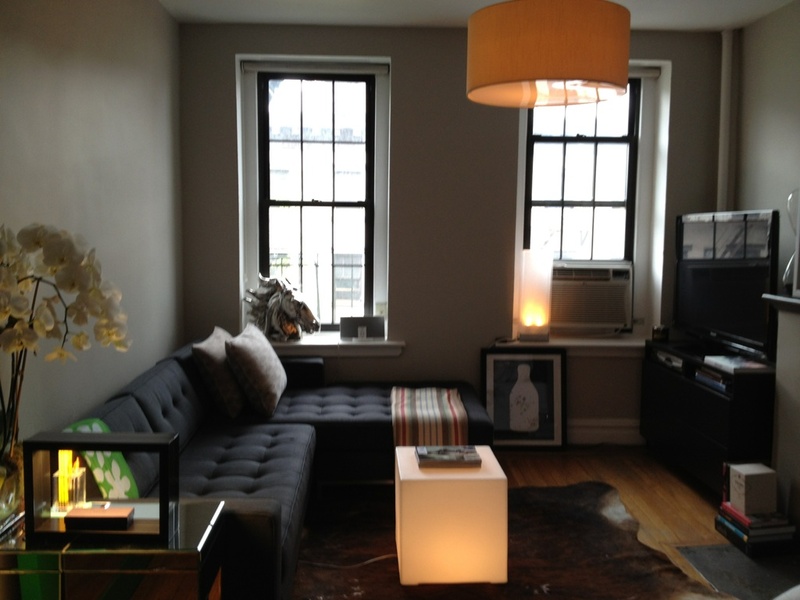 I chose this apartment based on it's location, Greenwich Village, and all of the positive reviews. Overall this was a wonderful experience and I will definitely do it again. 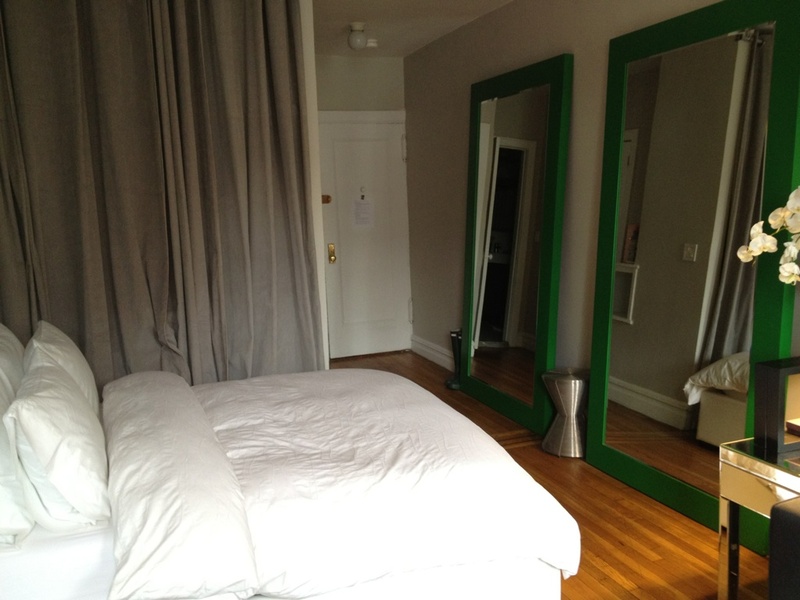 Check out this gorgeous studio that we stayed in for less than $200/night for almost a week! Below is a picture of the living room when you first walk into the apartment. I am obsessed with that "light up" table. 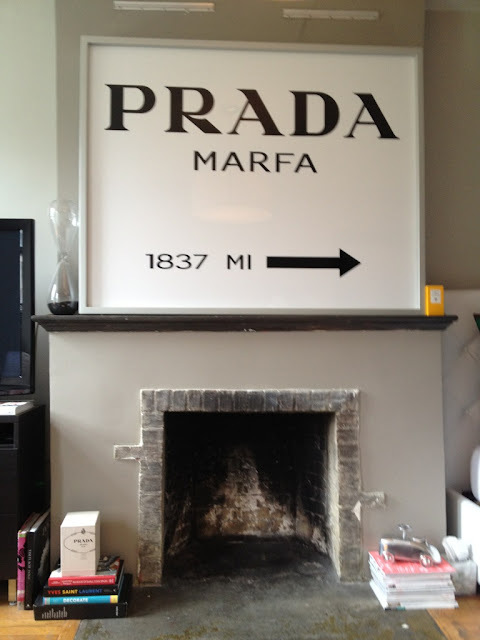 I love how the owner used the Prada Marfa sign as artwork...so clever. This is the view from the living room. The owner of this apartment made this space look big with the 2 oversized green mirrors. One would never know that a kitchen lies behind those taupe curtains! 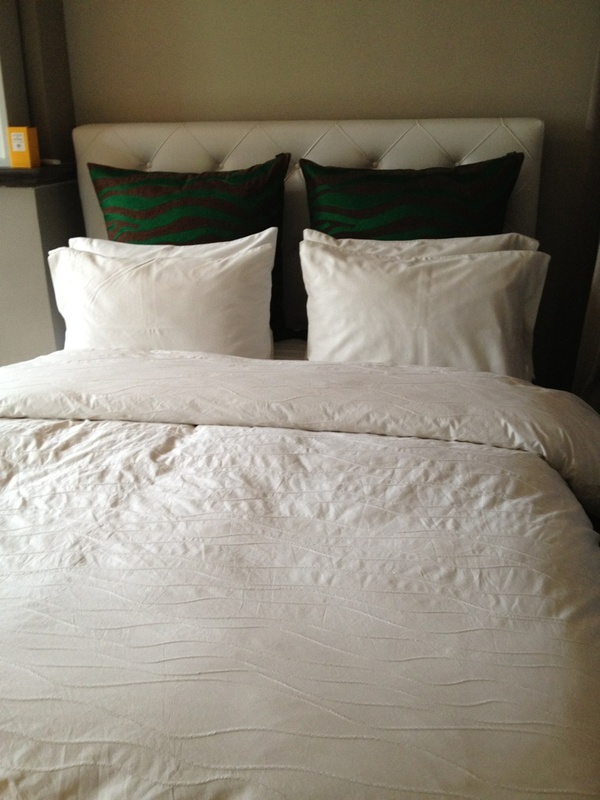 The bed was super comfortable and the linens were unbelievably soft. The linens were from Restoration Hardware. The owner also gets the linens dry cleaned after each guest so they were freshly pressed! 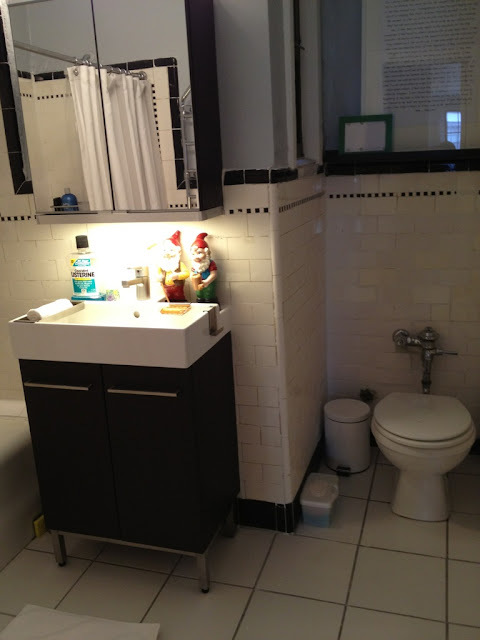 This is your typical NYC bathroom. It was nothing fancy but large enough to get ready in! The owner also provided us with toiletries, which was a nice touch! If you are interested in finding a cool place like this, make sure you do your homework so you have as good of an experience as we did!